In the garden is where I should be. Instead, I’m sitting on my deck drinking beer again, looking out over my garden and up at the tall trees that surround our property. My garden is overgrown, again. Actually…it’s always overgrown, because I’m lazy. We live in the hills, surrounded by trees and bushland, so our garden is essentially bushland, but it probably shouldn’t be. The extremes of weather in the past year – a long wet winter and an intense sunny summer (oh look, it’s suddenly cold and wet again) – have accelerated growth rates, so my neglect of garden maintenance has resulted in some heavy weekend workloads to cut back the growth, especially now that we’re in the middle of bushfire season. When I do have the time (and it’s not too hot or wet), I enjoy gardening, and I very much enjoy the reward of a post-gardening beer. Two beers with a (loose) garden connection arrived on my doorstep over the past month, samples from the marketing output of Stone & Wood Brewing and Malt Shovel/James Squire/Mad Brewers. 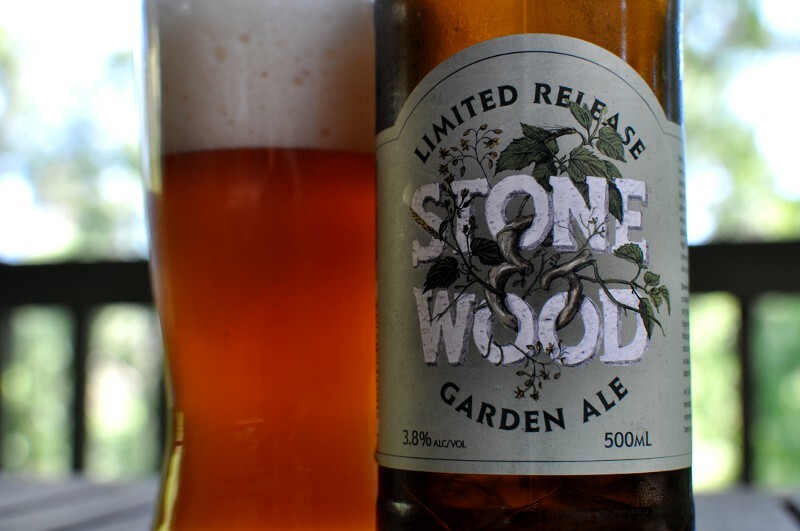 Beloved Byron Bay indie, Stone & Wood, sent the 2014 release of their Garden Ale, a 3.8% abv amber ale. The PR agency for the multi-national big boys under Mitsubishi’s umbrella via the corporate HQ of Japan’s Kirin Brewery Company (a structure that was wonderfully dissected by the Drunken Speculation blog this week) sent Lion Co’s – via the Malt Shovel Brewery James Squire brand – latest limited release Mad Brewers, a 6.2% witbier called Garden de Paradisi. Full disclosure: When I drank these two beers recently, on separate days, I had not done any gardening immediately prior. Hence, my gardening context for this post is somewhat redundant and I am unable to critic their gardening impact factor. 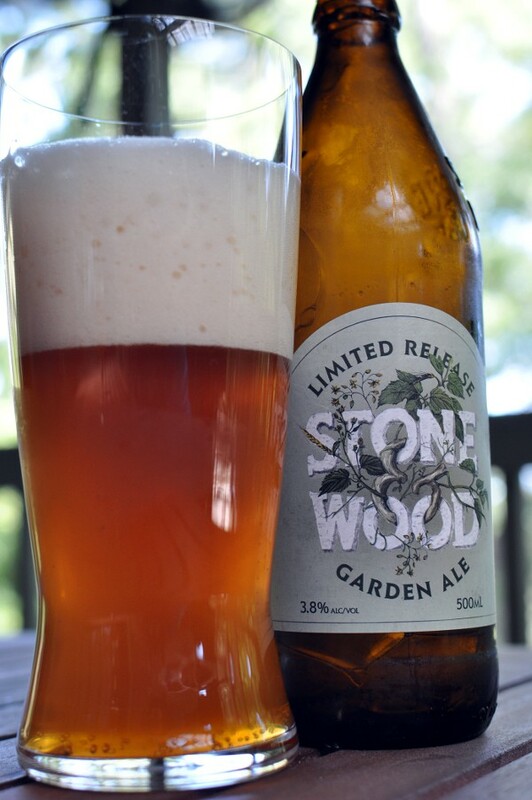 I reviewed the first Stone & Wood Garden Ale release in late 2012, but it’s fairly different this year, and for the better. The Garden Ale recipe no longer includes juniper berries, and it has a fuller malt backbone thanks to a beefed up crystal malt kick. I love it. 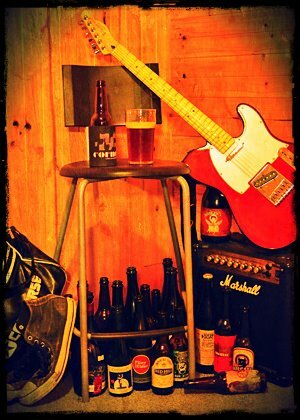 Australia’s Ella is the showcase hop, providing the “easy bitter finish” noted in the S&W media release. It’s a smooth beer that makes for sessionable afternoon drinking, especially when you’re surrounded by the greenery of nature’s garden. 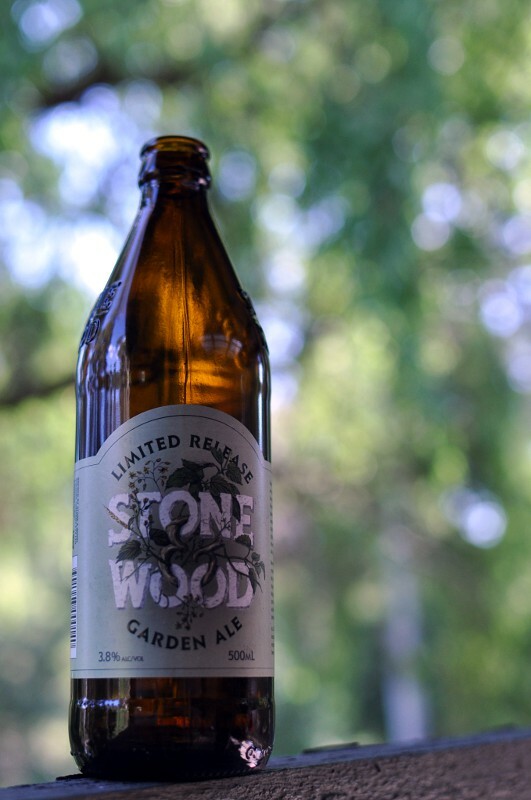 The key to buying bottles of Stone & Wood is to find a bottleshop with the “2 for $10” deal on the 500ml bottles. If you can pick up a bottle of Garden Ale and Pacific Ale or Jasper Ale, two pints of quality drinking at $5 each, you’re onto a good thing. 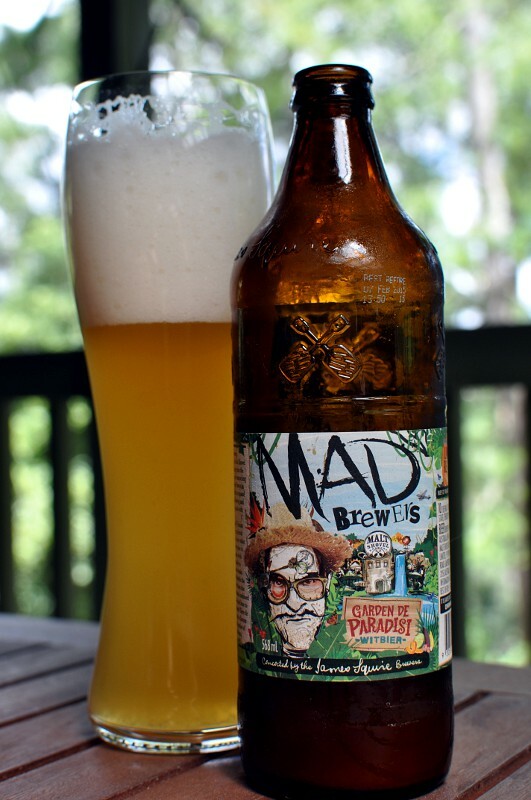 Based on the popular Bier de Blanche, often regaled as a benchmark for witbiers, the Mad Brewer’s Garden de Paradisi is a big mouthful for a witbier. It provides the familiar witbier aroma of orange peel and clove, with notes of lime and ginger, and then an evident tingle of pepper spice from the Grains of Paradise. After the traditional witbier washes down, an interesting bubblegum funk rises from the back of the flavour, as does the intensity of the Grains of Paradise. It’s not a bad bubblegum presence, which would indicate a fault in the beer, but it did come to overpower my palate by the end of the glass. My best guess is that this bubblegum funk comes from the combination of Mosaic and Topaz hops with the Grains of Paradise. Garden de Paradisi is beer worth trying, because it’s different and interesting. I’m not sure I’d drink much more it though. But then again, like I’ve said before, wheat beers are my least favourite beer style, so that’s a very subjective thing. Although, I’ve had a similar experience with almost all the Mad Brewers releases. I enjoy the first couple of mouthfuls, but by the end of the glass… I’m over the beer. Anyway, the Stone & Wood Garden Ale wins this (non-existent) garden beer battle, with an immediate knockout blow from the “mmm yeah” factor. Sure, these are too completely different beers, and the “Garden” reference is ultimately irrelevant, but hey, if the brand highlights the “garden” aspect, then the consumer will tend to think “garden” when they drink it. Now, it’s back to planning our East Coast Brewery Tour roadtrip! Next month, we’re jumping in our car for a short holiday that will take us from Melbourne to Brisbane and back. Along the way, we’ll stop in at every small brewery we have time to reach. There’s at least 20 breweries (possibly 21 now) on our hit list, primarily in New South Wales, along with a bundle of newbies in Brisbane since we last visited. It’s our first beer travel adventure of 2014, following a big 2013 which included our craft beer soaked travels through Western Australia and New Zealand. 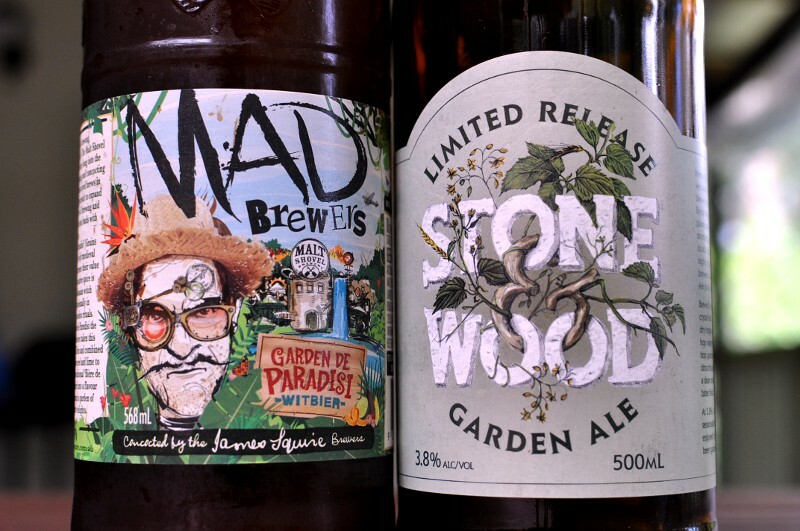 Tags: beers, james Squire, Mad Brewers, Stone and Wood. Bookmark the permalink. I’d say there’d be a few of us in Brisbane who are keen for a catch-up beer while you’re in town.